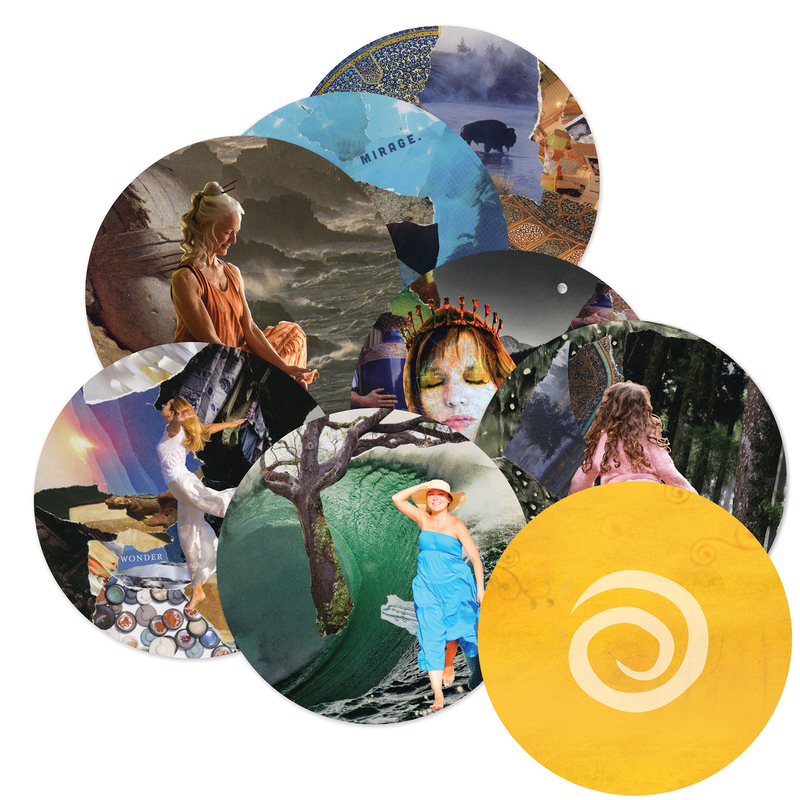 JourneyCircles™ and SoulCollage© are both popular modalities. If you engage in any type of soul work, journey work, or depth work in addition to using art for transformation or healing, you’ve probably heard of these two systems. I find both to be of great benefit, because each fills a particular need when I’m doing deep inner work. While both of these systems are excellent to use for personal growth and deeper self-understanding it seems like many people have a favorite. Yet, I think it’s worth exploring both, because they can work so well together. JourneyCircles™ cards and the JourneyCircles™ Process were developed by Cat Caracelo founder of JourneyPath Institute. From the JourneyPath Institute website…JourneyPath Institute promotes integrative depth work, transformative process and expressive art to support healing, wholeness and expansion. JourneyCircles™ uses principles of depth work, expressive arts, transformative process, and art as healing. Working with visual narrative, ones own inner language will offer an opportunity to consciously experience symbolic, archetypal, mythic and metaphoric energies. JourneyCircles™ cards are a visual template for collage, mixed media work, narrative process, parts work, shadow stories and more. Colors and symbols embedded in the mandala shaped cards provide a rich foundation for your creative depth work. The cards provide both a place of beginning for your creative process and a container for your images, words and narratives. The cards are used in a variety of ways for story telling, re-storying, mapping with art, pattern play, and for exploration of inner landscapes, parts of self, and archetypes. JourneyCircles™ are an integral part of my own soul work and process. As a licensed JourneyCircles™ Facilitator I use the JourneyCircles™ process with women in my retreats and programs as well as with my individual coaching clients. As a creative modality and tool for soul work, one of the most noteworthy strengths of JourneyCircles™ is the variety of ways you use the cards and process. Rich with meaning the templates offer many possibilities. JourneyCircles™ cards and process allows you to tell your life stories in powerful ways using symbol and image rather than words. You can explore root stories, inherited stories and stories that never were. You can develop your own new stories that serve and support you in your life right now. This ability to create personal myth and a living language builds a bridge between you inner life and your outer experience. This bridging helps you bring into alignment what you deeply want and need, and what is present in your everyday life. Here’s how transformation begins. 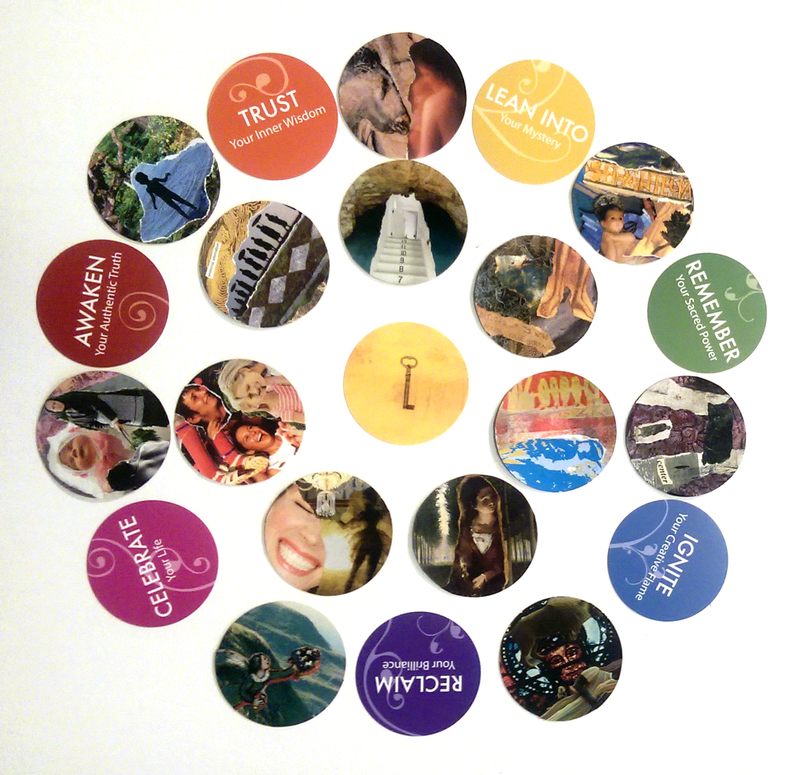 Use JourneyCircles™ Transformation Cards to map the horizon of your life and gain the power to envision your future. Mark areas of newly gained clarity and direction with the cards. Then create plans for how you will achieve what you envision in your life. 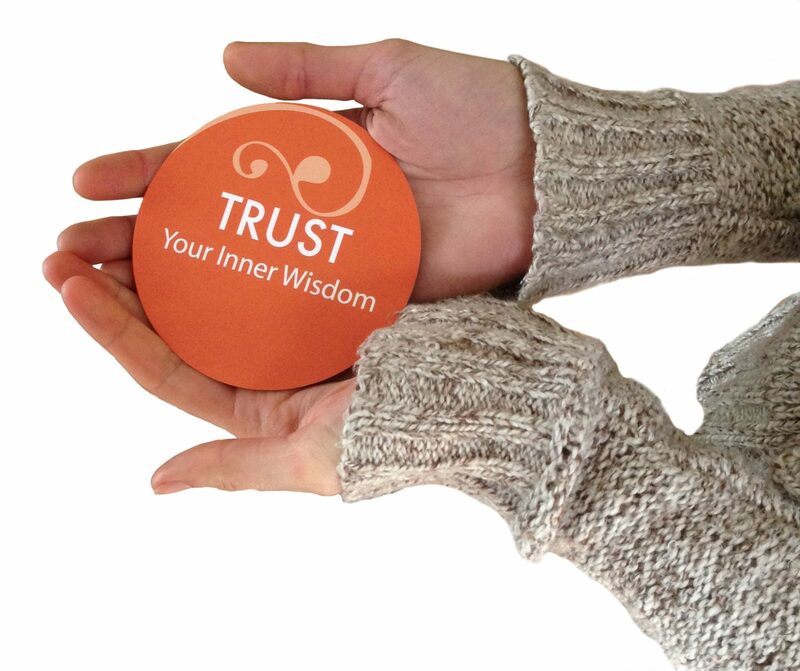 You can explore and map Chakra Wisdom using the JourneyCircles™ Transformation Cards. Using the mapping model of the spine you can journey through your energetic centers and gain deep and profound wisdom about yourself. Each Transformation Card holds a message and an invitation to intuitively create, and therefore moves you towards a transformative outcome. 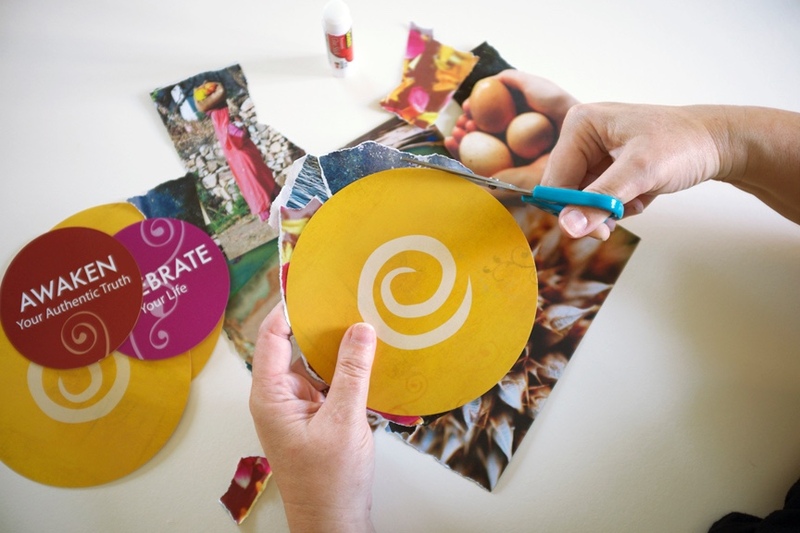 You can use JourneyCircles™ Cards at the beginning of a year, new phase of life, new project. You can also use them at the end of a stage of life, the end of a relationship or retirement from a career. Use them to evaluate what has been, where you are now and where you see yourself going. Draw three JourneyCircles™ cards that you have made. Look at them through the lens of past, present and future. This layout gives space for a story to unfold. First, you voice your story through the use of guiding prompts like, I honor….I notice…..I welcome. This helps you gain insight into what is most important right now. Finally, you turn your intuitive knowing into action with prompts like In this story I am…My wisdom brings forth…I circle myself as I… and you apply what your inner wisdom has shown you to your life. Each card type has many uses and card types can be combined with each other and with other creative modalities including art journaling, process painting, written journaling, art as ritual, and more. In Part 2 of this series you’ll get an overview of the SoulCollage© process and in Part 3 you’ll discover ways to use these transformative tools together. How do I participate in this??!!!? So happy that JourneyCircles™ resonates with you! I love it as a beautiful, creative process for self-discovery and growth. The first thing I have to share with you is my video JourneyCircles™ Basics. This is one of the twelve Art Technique Videos that is part of my year long guided group program The EarthWise Way. Second, you can order a JourneyCircles™ Kit directly from JourneyPath Institute. (I don’t sell them). You’ll get everything you see here, including the guide book I mention in the video. 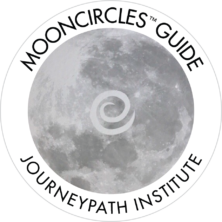 Third, I’ll be offering some online guided programs in the near future that use the JourneyCircles™ Process. If you have questions or want to discover more about JourneyCircles™ and creative depth work just send me an email I’ll be happy to help you get started.